Anyone know where I can get my hands on some of these? 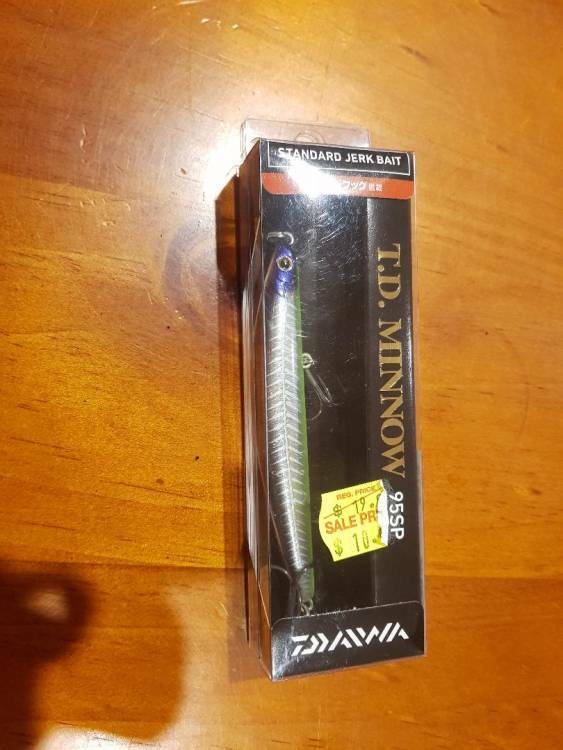 I have a couple, however Daiwa discontinued them shortly after and I haven't seen any since. I'm aware of a handful of the larger 120SPs floating around, but not the 95SPs so if anyone knows of any tackle stores still holding them, it is something I would be interested in. I just checked Ebay.. not sure if they're what you're after, maybe Yorky has some at Complete Angler or even Fishing Wholeslers at Lonsdale..
Compleat Angler Moonta still have some in 95mm but 2 colours only. Thanks Yorky - greatly appreciated! Mate I’ve had three and lost three all in ghost herring colour. I think I caught something everytime I used it. Flathead, STs, snook and I even got a whiting on it once. I’ll have to give Moonta a call. Great lures. There are still a few around on eBay but people are charging a bit for em. Spoke to the guys at Complete Angler and lodged my order for a handful of them today via their website. Now just got to wait for them to arrive in the post. Thanks Meps & Yorky - appreciate your efforts in locating some for me. Thanks again all. Ended up grabbing 6 x TD95s from Complete Angler and 10 x TD120s from Tackle Busters. Very happy chappy! Box of TD Minnow 95SP at the Tackle Buster stand at the boat show. Great price as well. TD95s or 120s Kelvin? I bought 120s from Tacklebusters when they were at the Trade/Tools show the other month.